Our classes are taught by certified Strong First Russian Kettlebell Instructors (SFG) who are certified by Pavel Tsatsouline, the founder of the U.S. Kettlebell Revolution. Group class training sessions are dynamic, developing functional, total-body strength, that can be used in every aspect of your daily life and activities. Classes will also fire up your conditioning and metabolism to assist your fat-burning and help forge your physique. Please note - A Kettlebell intorduction class is mandatory for all new students, prior to attending classes. Please contact us for a consultation, to discuss if group classes are the best program for you, to achieve your fitness goals. To ensure the safety of our students, and to maintain an appropriate pace to our classes, all students are required to take our Kettlebell Introduction Class, prior to joining a regular class. This class will cover the foundation exercises and essential techniques that will be used in our classes, focusing on how to perform them safely and properly. 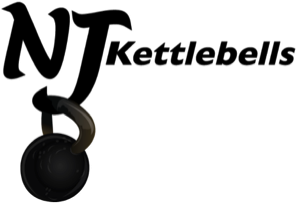 The NJKettlebells’ Introduction Class will be approximately 1.5 to 2 hours, depending on the number of participants.